The Doublers of tomorrow can be Doublers today! The event is intended for kids ages 6-12. Awards: Cream Bean Berry ice cream for all our kids finishers! 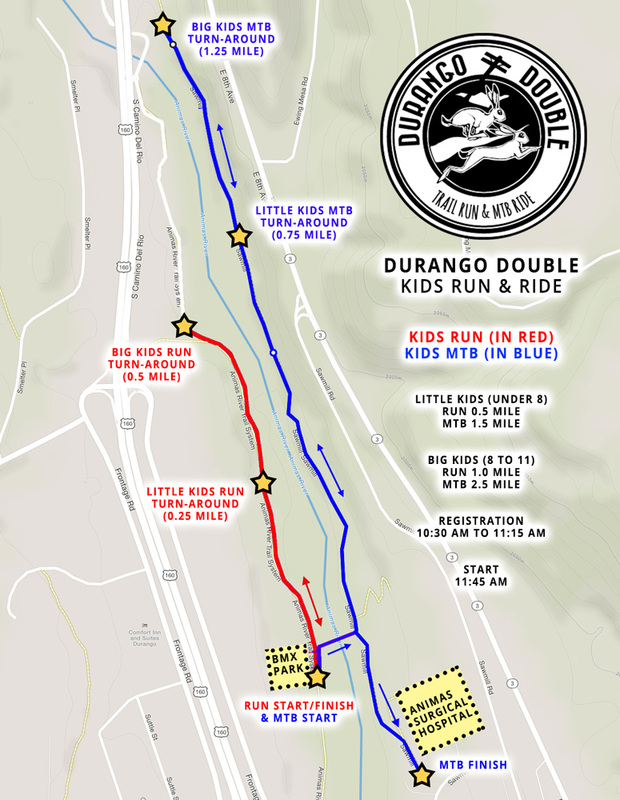 The Kids Mini Double Run & Ride starts at the Durango BMX track (across the river from Animas Surgical Hospital). The course features an out-and-back run on the river trail, a transition to mountain bike at the BMX track, then an out and back on the railroad trail, finishing at Animas Surgical Hospital through the Durango Double finish line!